Virginia DUI - Am I going to jail? If you have been arrested for your first DUI in Virginia you are facing both civil and criminal penalties. Whether or not you will go to jail will be decided at your criminal trial or prior to the trial if you plead guilty. General information about civil and criminal penalties you might face after a DUI conviction in Virginia is discussed below. Under Virginia state law it is illegal to operate a motorized vehicle if you are intoxicated by alcohol or you have a BAC or blood alcohol concentration of 0.08 percent or more as indicated by a chemical test. 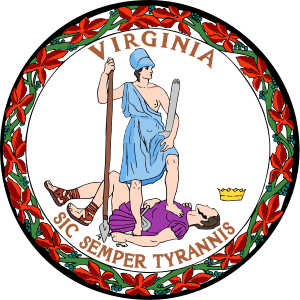 If you are operating a motorized vehicle in the state of Virginia you have given your implied consent to submit to a chemical test of your blood, breath or urine if you have been arrested for DUI. Generally a breath test is given but if the person is unable to perform the test the state has the right to request a blood test. The driver must be informed of their right to observe the test and to receive a written printout of the test. Drivers who refuse to submit to the chemical test will have their Virginia license suspended, and the refusal can be used as evidence at their trial. According to the law, the criminal penalty for unreasonable refusal within 10 years of a prior conviction for driving while intoxicated or unreasonable refusal is a Class 2 misdemeanor, and the criminal penalty for unreasonable refusal within 10 years of any two prior convictions for driving while intoxicated or unreasonable refusal is a Class 1 misdemeanor. The license suspension for a test failure or a test refusal is an administrative license suspension imposed by the Virginia Department of Motor Vehicles and is enforced whether or not you are ultimately convicted of a DUI. What are the first steps after a Virginia DUI arrest? If you have had your license suspended through the administrative license suspension process you have the right to request a hearing to challenge the suspension. You can have a DUI lawyer represent you at this hearing. Unfortunately, it is difficult to win this hearing. To win you would have to prove that by a preponderance of the evidence, that the arresting officer did not have probable cause for the arrest, that the magistrate did not have probable cause to issue the warrant, or that there was not probable cause for issuance of the petition, the court shall rescind the suspension, or that portion of it that exceeds seven days if there was not probable cause to charge a second offense or 60 days if there was not probable cause to charge a third or subsequent offense. After challenging the administrative license suspension it is time to talk to a DUI lawyer about whether or not you should plead guilty to the DUI charges.